Is the pain of a loss holding you back in life? Do you feel as though you are just surviving; not thriving and fully participating in your life? If the answer is YES to these questions you may be struggling with unresolved grief. 100% of us are grievers. Grief is conflicting feelings caused by the end of, or change in, a familiar pattern of behavior. Grief is as individual and unique as you are. There are no stages. Grief cannot be neatly categorized. Unresolved grief is almost always about undelivered communications of an emotional nature. Unresolved grief may be at the root of any fear associated with thoughts or feelings about a relationship. Recovery from a loss is achieved by a series of small and correct choices made by the griever. Recovery is finding new meaning for living, without the fear of being hurt again. Taking the actions that will lead to your recovery will require your attention, open-mindedness, willingness, and courage. 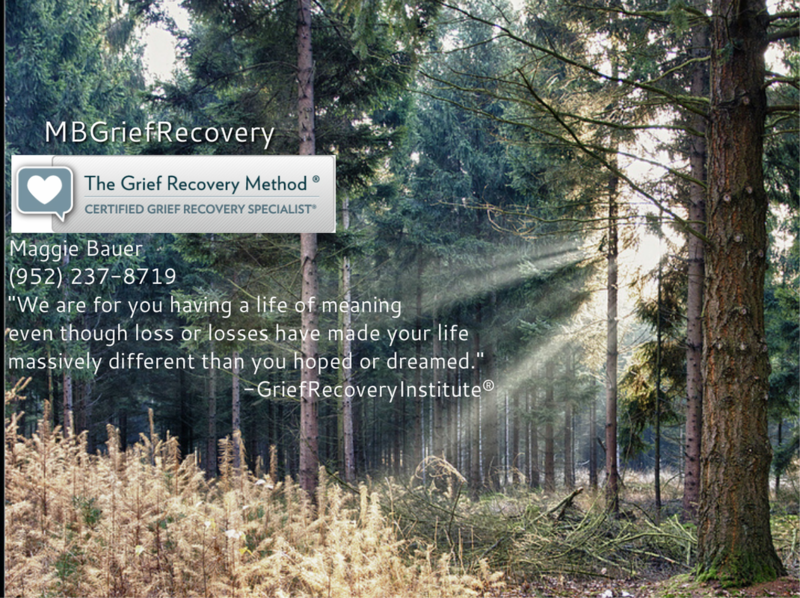 Participate in a grief recovery outreach program® near you!